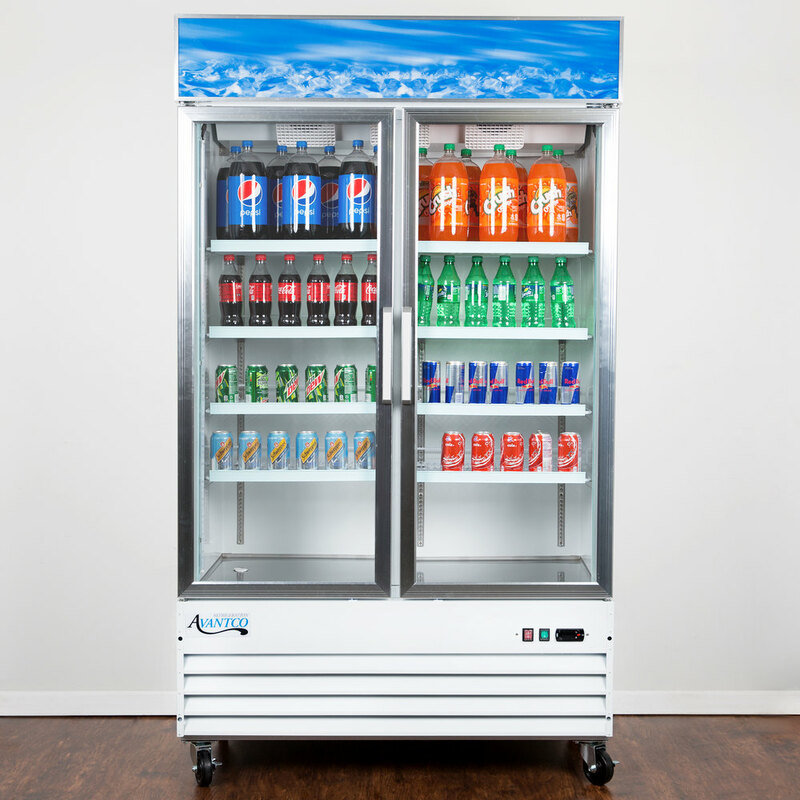 Increase your sales of "grab and go" items like bottled tea and soda, or pre-packaged sandwiches and salads with this Avantco GDC-40-HC 48" white merchandising refrigerator! Designed with sharp looks and usability in mind, this unit is the perfect display for your products with its sleek finish. And, since the housing is made from white coated steel, you can be sure that it will provide superior durability. 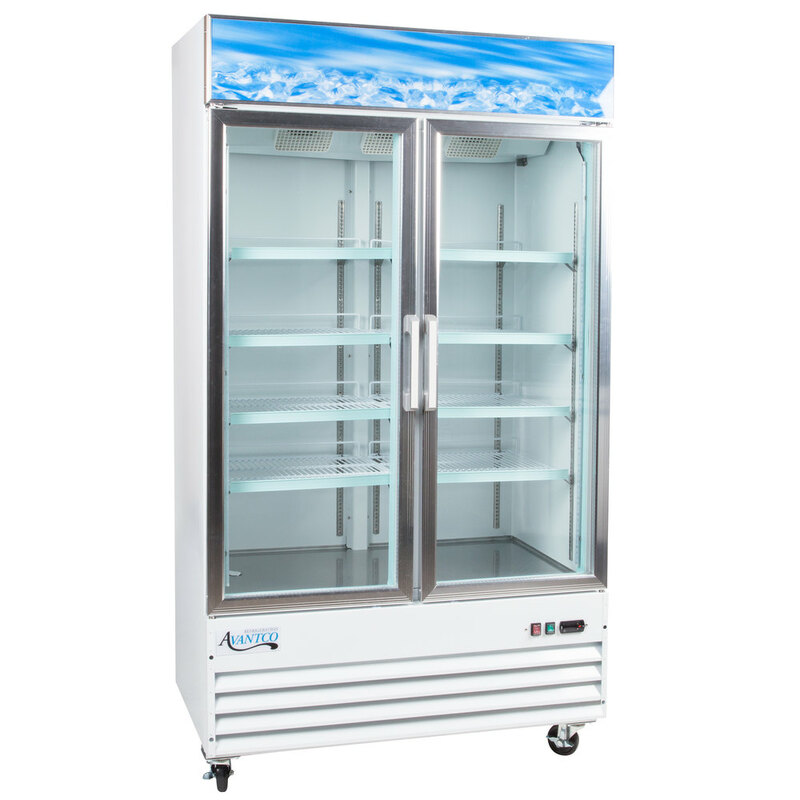 This unit boasts 2 anti-fogging glass swing doors to ensure that customers always have a clear view of your products, while 8 epoxy coated steel shelves help you stay organized. Plus, the shelves easily adjust to accommodate salads, wraps, or sandwiches. 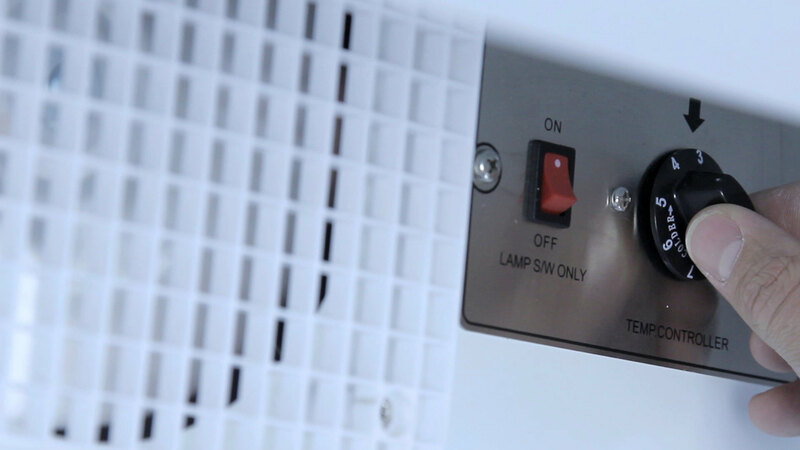 Interior LED lighting also works to illuminate and further merchandise your products. 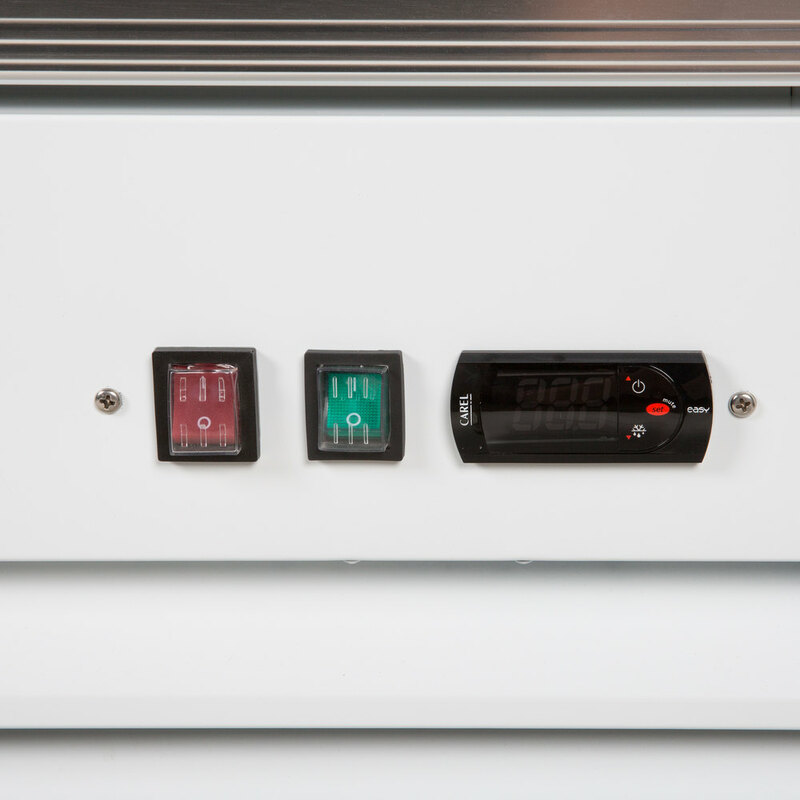 Designed to maintain temperatures from 33-40 degrees Fahrenheit, this refrigerator boasts a bottom-mounted 1/4 hp compressor that runs on eco-friendly R290 refrigerant. This specialized refrigerant has an ozone depletion potential (ODP) of 0 and a global warming potential (GWP) of 3, making it an environmentally-responsible choice for your business. In addition, the bottom-mounted design makes it easy for employees to load and unload products due to the raised bottom shelf. 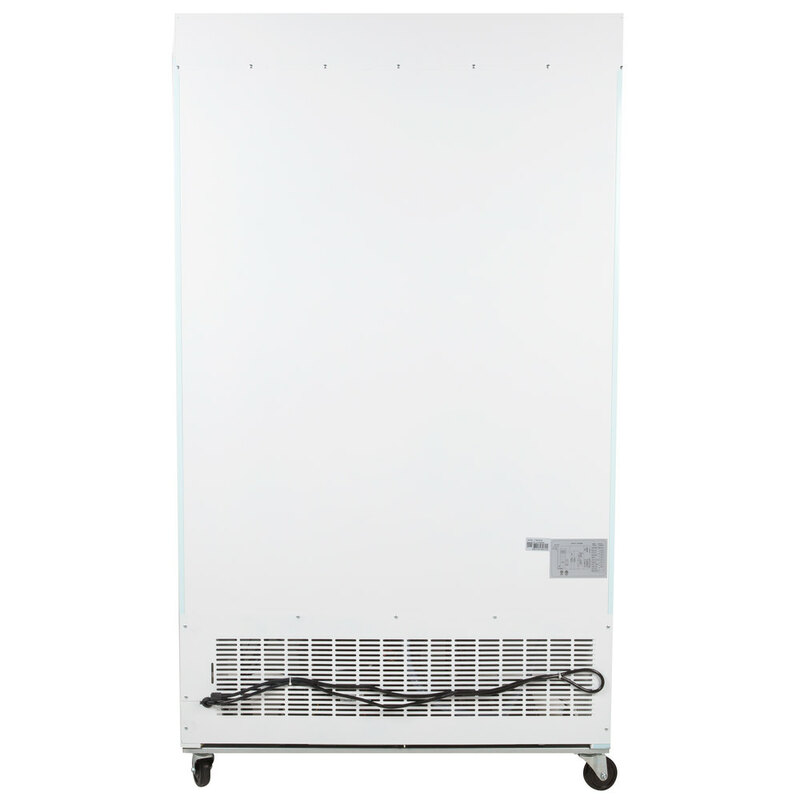 For optimal temperature retention, the entire cabinet is foamed-in place using polyurethane insulation. 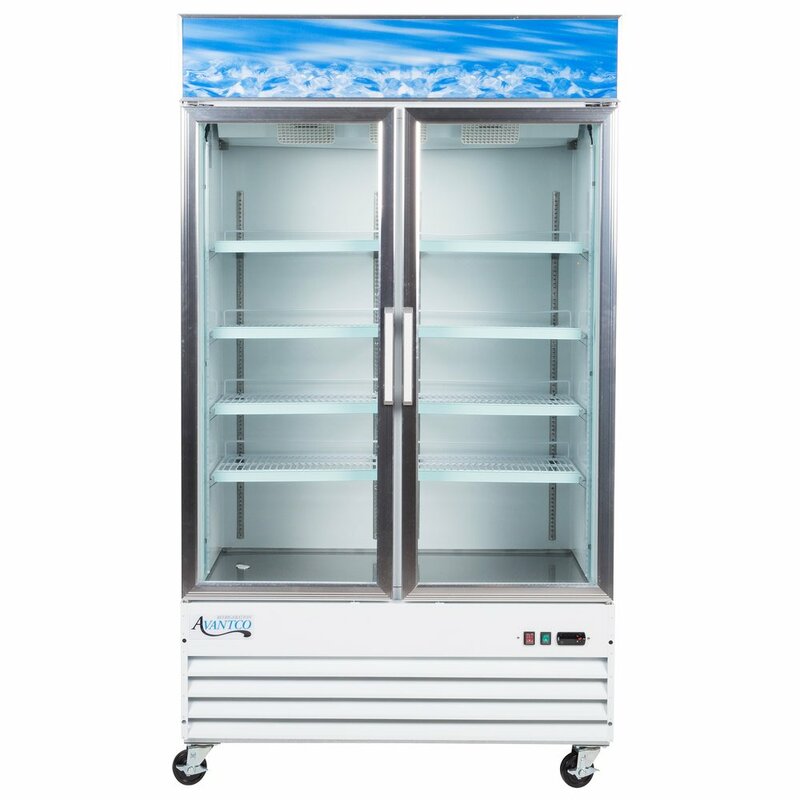 Other helpful features include a self-closing mechanism on the doors, automatic defrosting, as well as a digital temperature control and display. This item requires a 115V electrical connection for operation. By far a beautiful piece of equipment for the price . Excellent quality, appearance is 10 stars! First thing you see when you walk into my store. Ready to update the rest of my equipment!